At Better Health we recognise the importance of early assessment and treatment during pregnancy and in the postnatal period to help restore optimal health. Many women experience symptoms during pregnancy and in the postnatal period, such as back or pelvic pain. This can limit them staying active and well during their pregnancy and make it difficult to care for their baby or children in the postnatal period. We aim to help keep you fit, healthy and comfortable during your pregnancy and help you regain your ‘pre-pregnancy’ fitness. We understand that treating problems during the childbearing year requires specific skills and knowledge. Both our physiotherapists have many years of experience in treating women with a wide range of conditions and have attended highly specialised training in this field. We also offer a ‘Postnatal body check’ to new mums with a focus on preventive care. Initially a thorough assessment will be completed to review your symptoms and medical history. This will include your obstetric history, evaluation of your bladder and bowel function as well as lifestyle and exercise factors. The physical examination may include an assessment of your pelvis, spine and abdomen. To evaluate your pelvic floor muscles, either an internal vaginal examination or a non-invasive real time ultrasound assessment will be offered. A full assessment is one hour, however if you have a specific concern, a shorter, more concise (30min/45min) appointment can also be offered. Soft tissue techniques such as massage target your muscles, tendons, ligaments or connective tissue, which may contribute to your symptoms. Provide individual, specific exercise recommendations for women in the childbearing year. This may include prescription of a new exercise programme or modification of an existing exercise programme tailored to your specific needs and goals. The most important part of pelvic floor muscle exercise is finding the pelvic floor and getting the technique right. 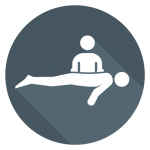 We will provide coaching to help you identify the right muscles and teach you how to exercise the muscle correctly. 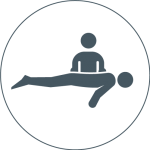 We will then provide you with a specific, tailored pelvic floor exercise programme helping you achieve a healthy, strong pelvic floor. Consider us the personal trainers for your pelvic floor. Your abdominal muscles are an important component of your ‘core’ to help minimise/prevent back pain and pelvic problems. Often during pregnancy the abdominal muscles can become ‘separated’ and weak. It is useful to learn how to minimise this and protect your abdominal muscles. Also how to rehabilitate your abdominal muscles during the postnatal period and how to exercise the abdominal muscles safely. The aim of bladder training is to help you gain better control of your bladder. This is important if you have problems rushing to the toilet, leaking urine or going to the toilet frequently during the day or night. Most bladder training programmes will involve you keeping a bladder diary, to assess and monitor how your bladder is working. If you suffer from constipation, difficulty emptying your bowels, poor wind control or problems controlling your bowel movements you will be provided with specific advice to help. Acupuncture can be used in combination with traditional physiotherapy to help in the management of pain, sleep, anxiety or bladder symptoms. Advice to promote wound healing and management of perineal or caesarean scar pain.